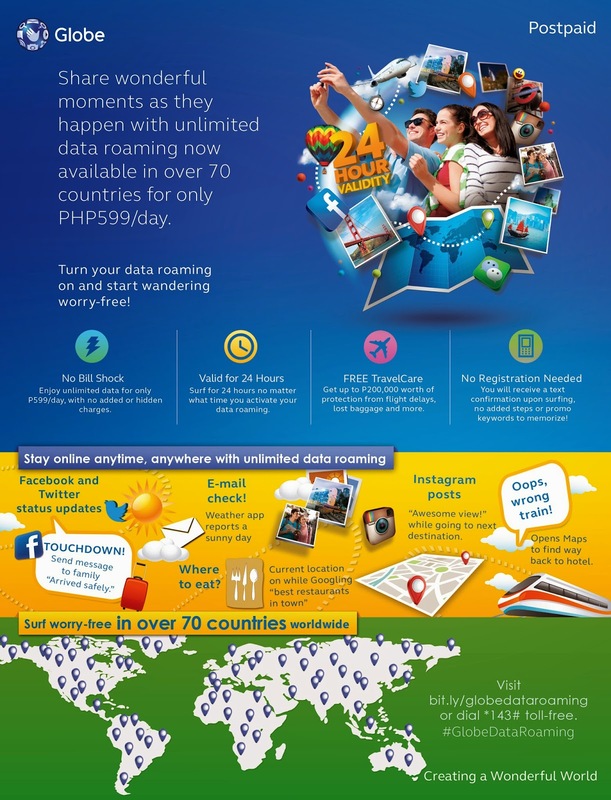 Globe Data Roaming flat rate of P599/day is now available in over 70 countries worldwide. To use the service, simply switch on your data roaming and you'll be locked on to Globe's partner carrier in your destination. As an added value, subscribers on the unlimited data roaming service also receive free TravelCare insurance which provides up to P200,000 worth of protection from travel inconveniences.